woah, ok this is tricky, here we go..! 1. Sounds cliche because mostly everyone on here is in to fashion, but i LOVE it and intend to study it at University this September. 2. My guilty pleasure is to watch Keeping Up With The Kardashians! 3. Snow absolutely irritates me - i'm most definitely a sunshine child! 5. This will sound so cheesy, if you're shy of corniness look away now! random fact number 5? my boyfriend Josh is my best friend, been together nearly a year now and i'm really happy. 6. I'm a self-confessed shopaholic - when I have money in my bank account i literally can't stop buying things! 7. I try and grow my nails, but they either split or i unintentionally bite them - oops. 8. I can't go a day without using any Urban Decay product - it's amazing! 11. My nephew Lorenzo (half italian/half english) was born summer 2012 and he's the best thing that's ever happened to our family. 1. If you could only eat one meal everyday for the rest of your life what would it be? ooft tough one! most likely pasta with tinned tomatoes - i'm a massive Italian food fan. 2. What is your favourite city that you've visited or that you'd like to visit? i'd LOVE to visit New York! My Dream! 4.If you could change one thing about your life what would it be? I could say I would like to be rich, however thinking about it - I wouldn't change a thing. You learn from your mistakes, and life isn't supposed to be easy! Strangely enough a pile of cosmo magazines have been gathering on my shelf.. does that count? I'd really love to go see the Northern Lights! It looks so beautiful! 8. What is your starsign? Do you believe it means anything? Aquarius:) Yep, I read my horoscope monthly, and weirdly most of the time it turns out true! Jeans. By far, can't go wrong with a pair of jeans. 10.What is something you are passionate about and why? Fashion for sure. Why? because you can express yourself in so many different ways, no matter what clique you're in, where you come from or who you are. Kim Kardashian! So jealous of her prettyness and lifestyle! haha really though, maybe my Mum, because she's just a super duper hero. That was actually so much fun answering those! Thanks once again Rosalie! You can find her blog here. 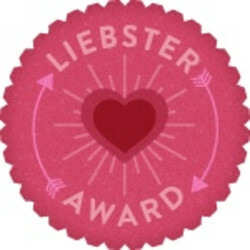 Thank you so much for nominating me for the The Liebster Award. Just about to start to write my post, love your randoms facts about you btw :D. Keep up the good job, love your posts! Aww thank you so much this is so sweet, I got two nominations the other day so I've already done one, I don't really know what the rules are regarding how many you can do, I'll have to put the award in my sidebar so people know! Thank you so much though, I love your blog! want to follow each other let me know! Congratulations on the award! I was given this a couple of weeks ago and it feels great to get some recognition for your blogging! I agree you learn from your mistakes and I don't think I'd change anything ether! That would be such a great award to be nominated for! well done! Keeping up with the Kardashians is my guilty pleasure too. I watch it secretly so no one makes fun of me for it.